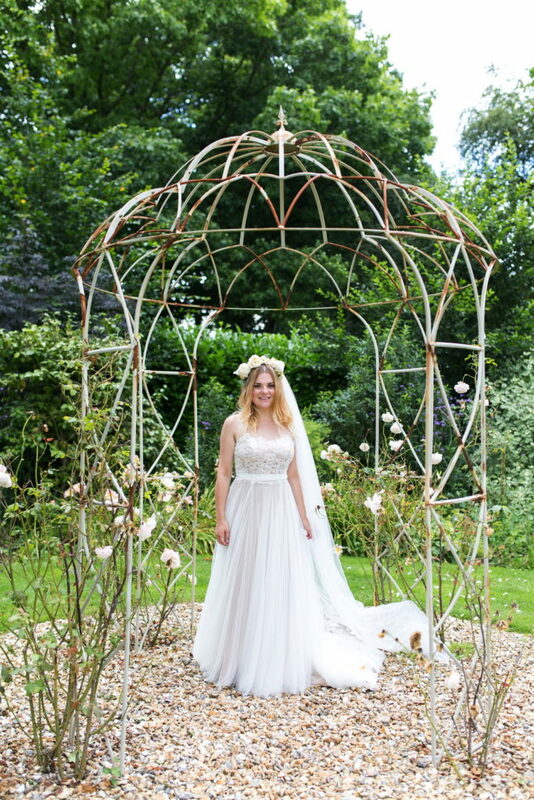 Images by Maddie Waters Photography. 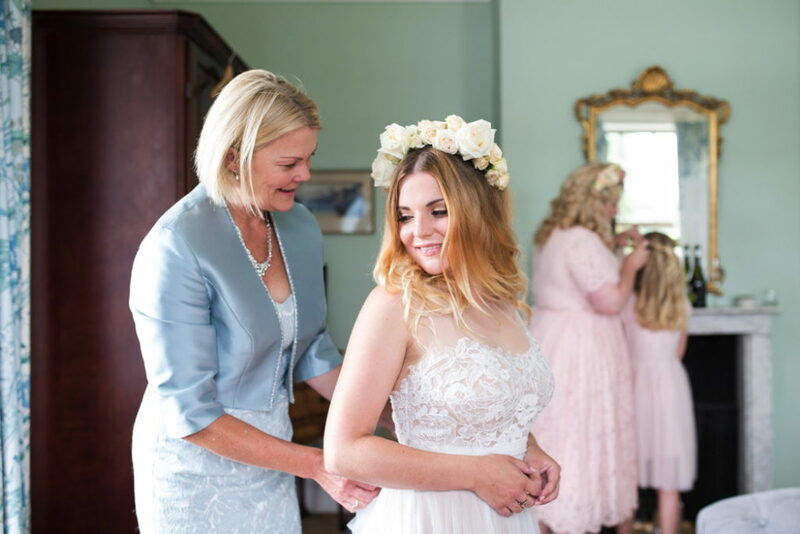 Whilst we don’t really go in for the big V-Day celebrations here in the Hla household, I do have a rather gorgeous wedding to share on this day o’ love. 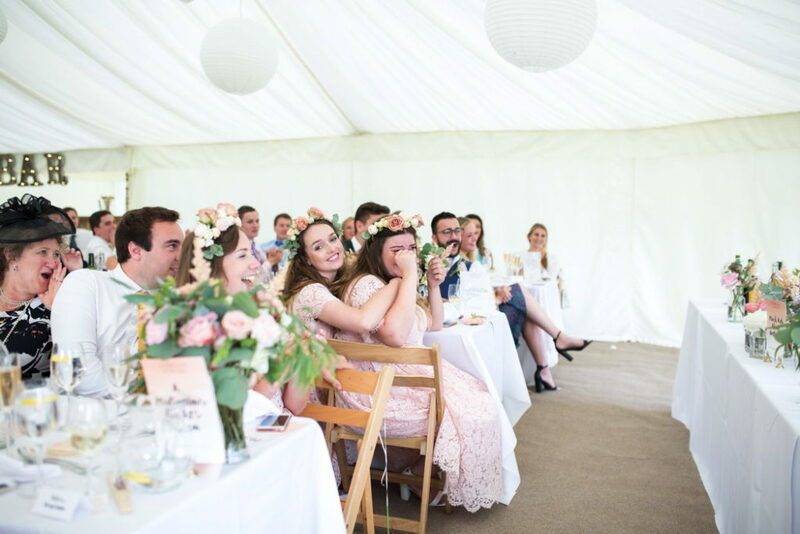 This wedding is all kinds of fabulous – the quirky country house setting, the bride’s floral crown, the yummy colour palette of neutrals and blush, the blank-canvas marquee, ALL the flowers and the fact that Phoebe & Joe donned their aprons and served their guests Paella and then chose to have a karaoke ‘First Song’ instead of a first dance. 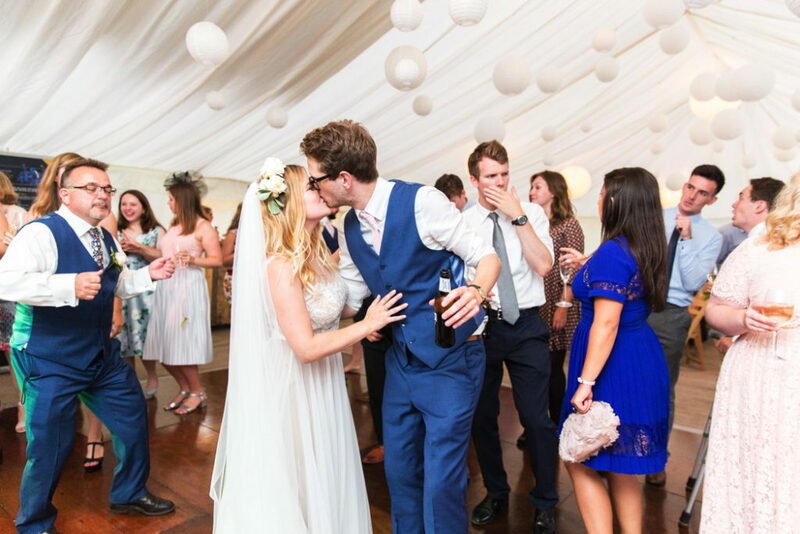 I mean, what a couple. 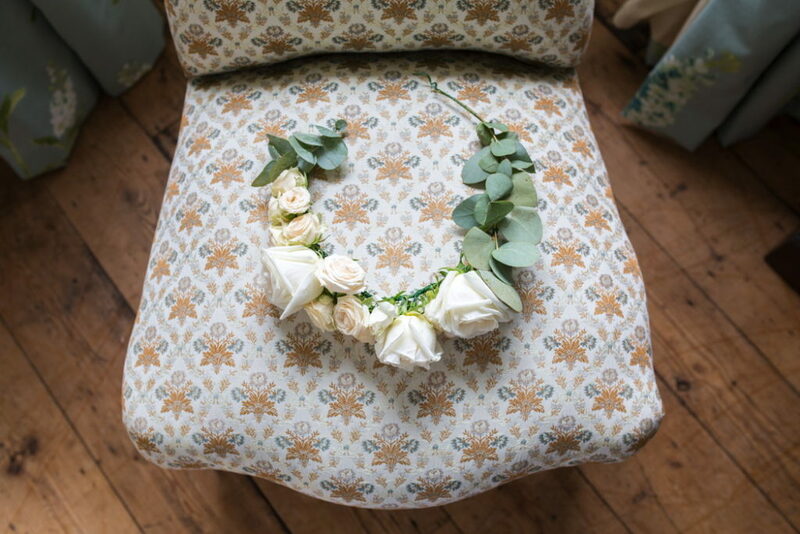 Scroll to see their story, captured and told, by their photographer Maddie Waters. 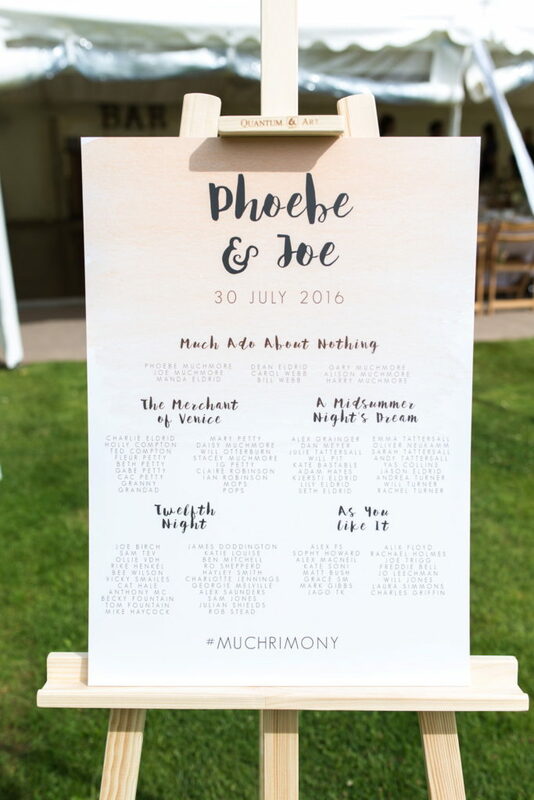 Where to start with this wedding! 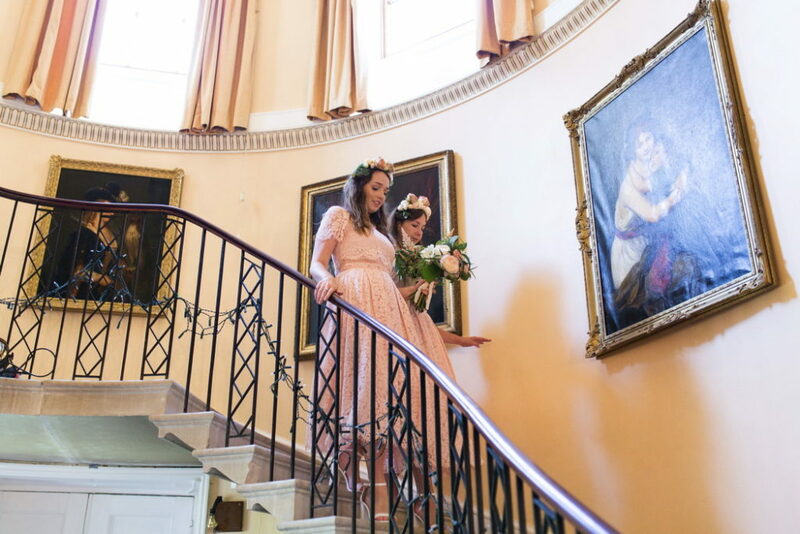 I have known Phoebe for a few years through a friend and as soon as she got engaged I secretly hoped that I may be able to be the lucky photographer to capture hers and Joe’s day. 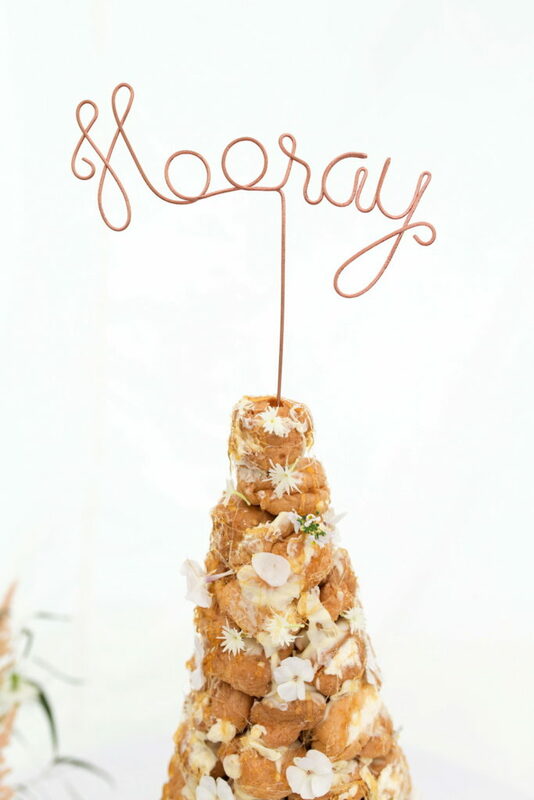 Well, I got my wish! 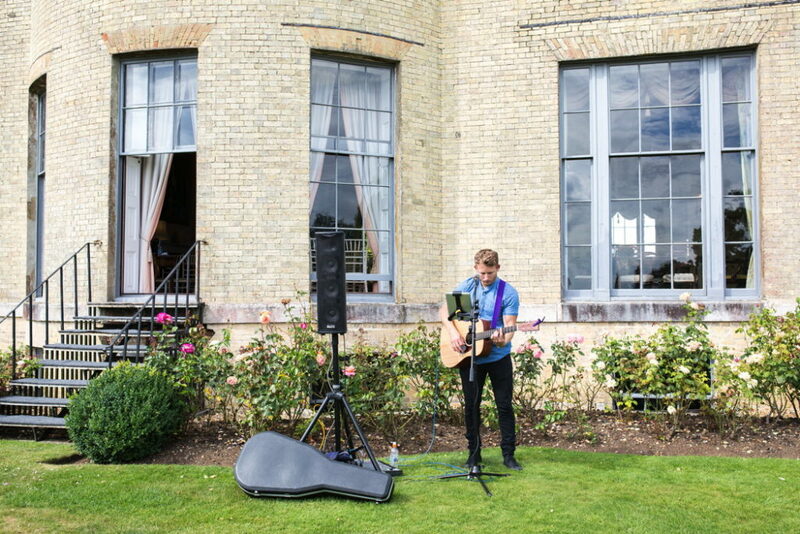 And it didn’t disappoint… not one little bit. 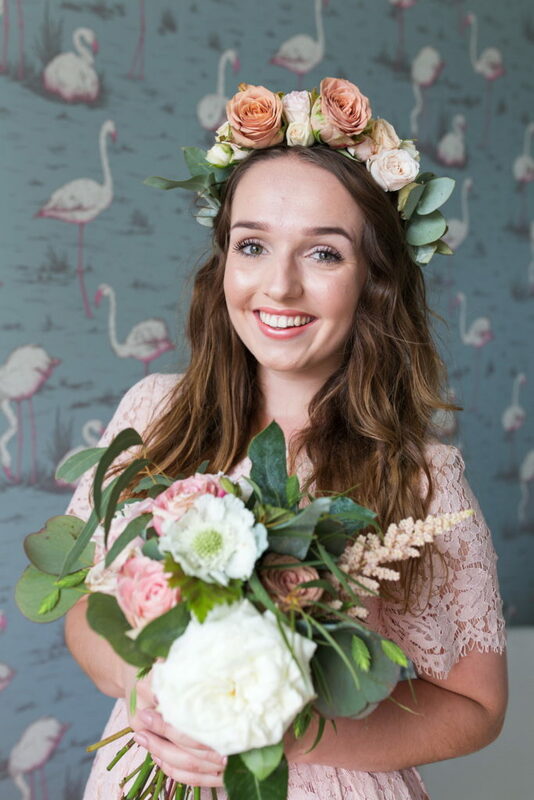 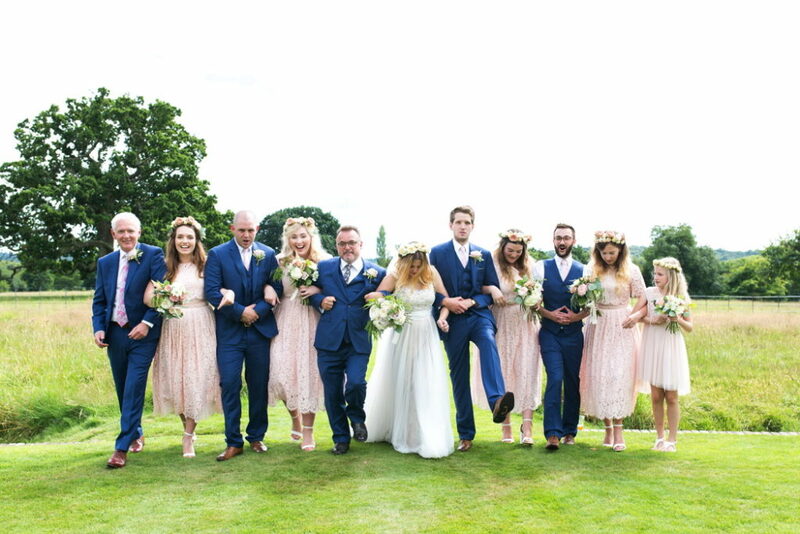 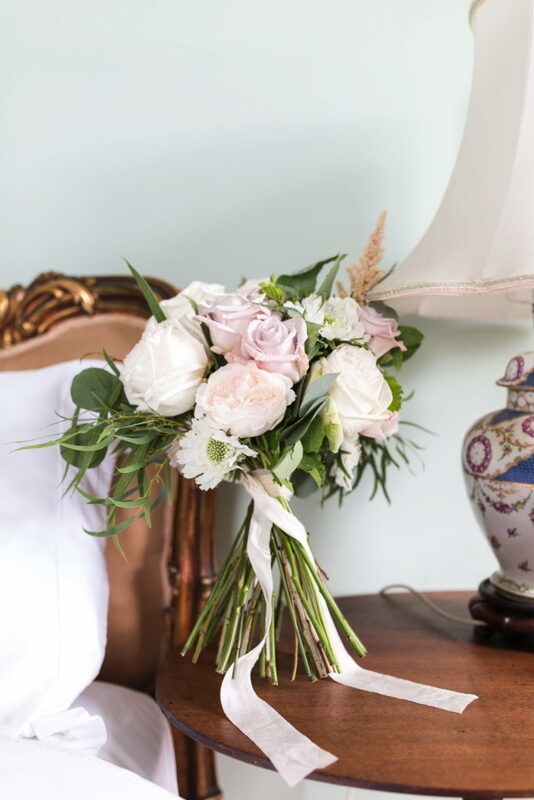 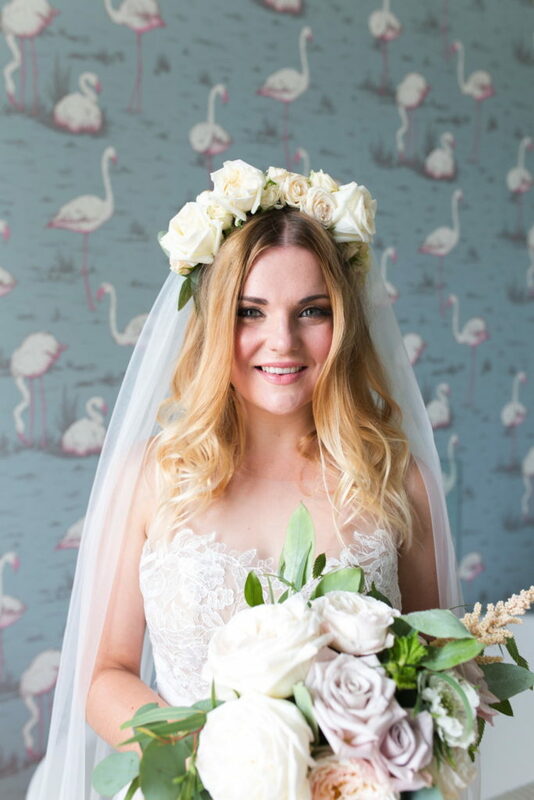 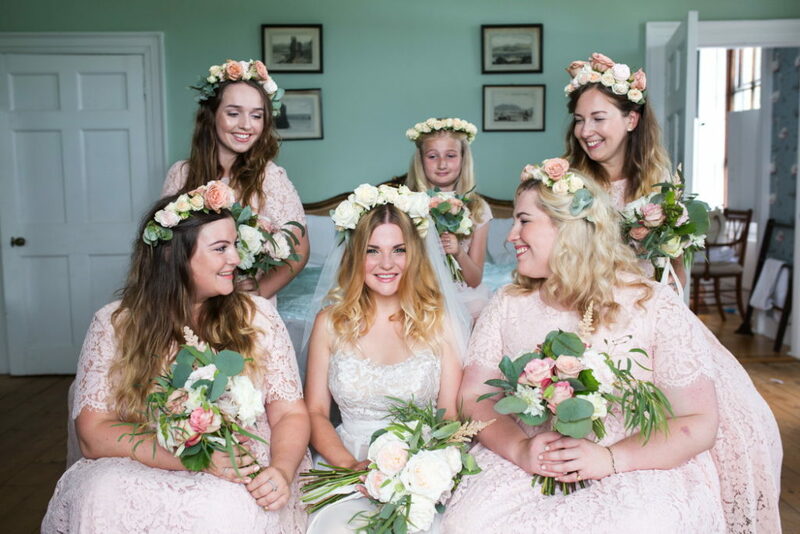 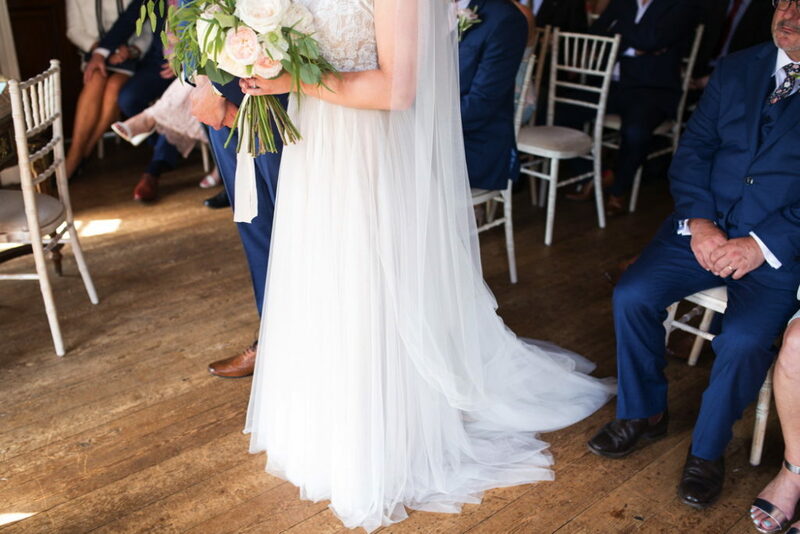 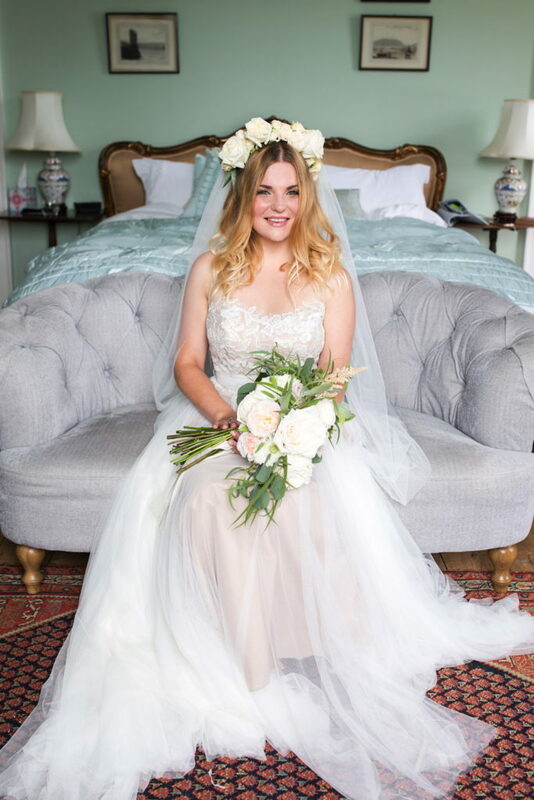 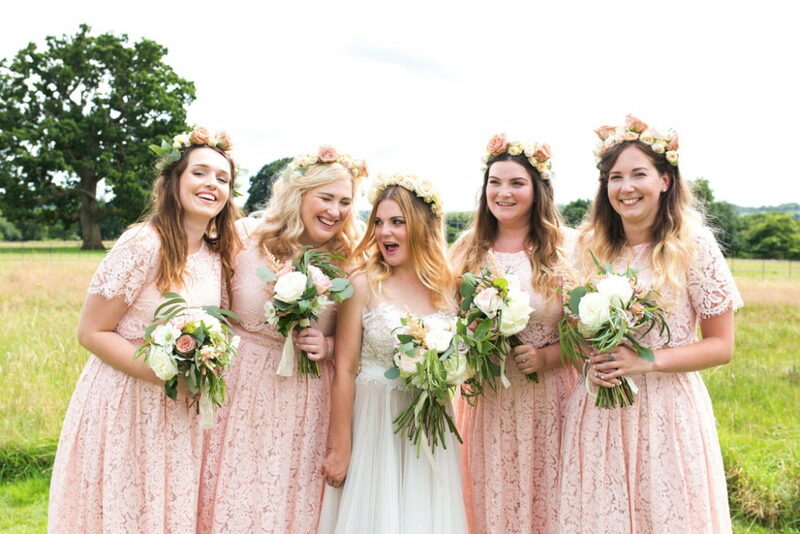 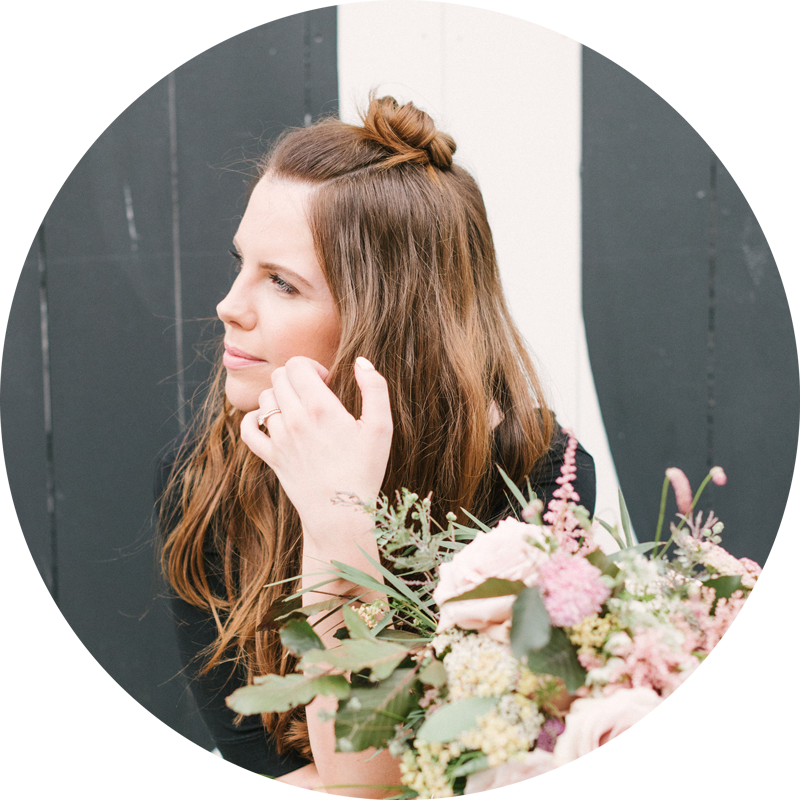 Phoebe wore a beautifully romantic dress by Watters​ and they mixed soft, pretty flowers ​(by Laura Smith Flowers) ​alongside touches of blush, peach and gold details. 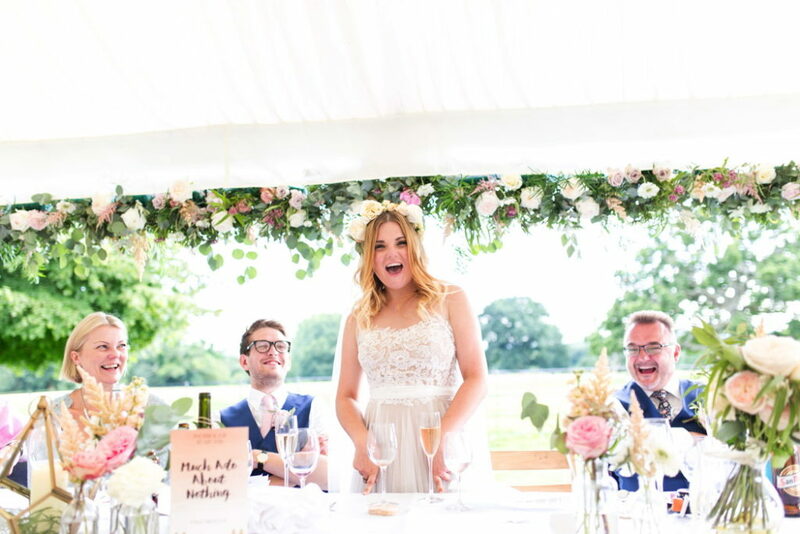 Hand written name cards made the tables feel personal with a stunning flower garland above the top table for some added flower power. 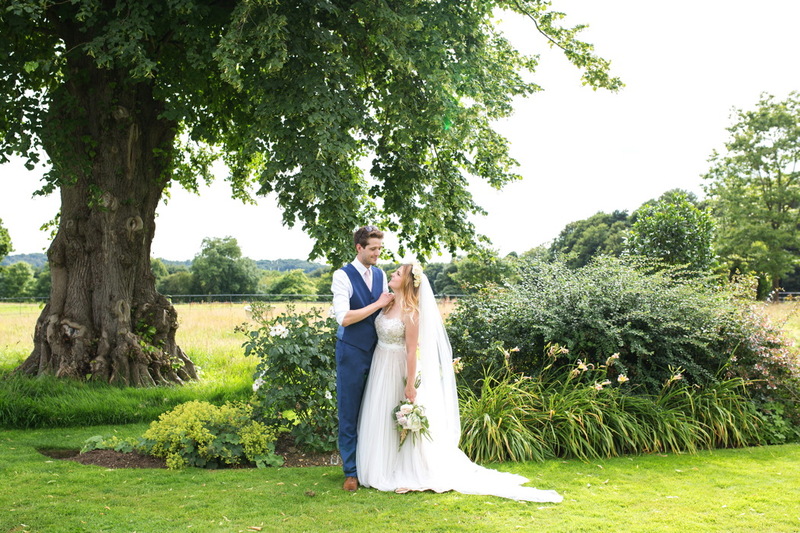 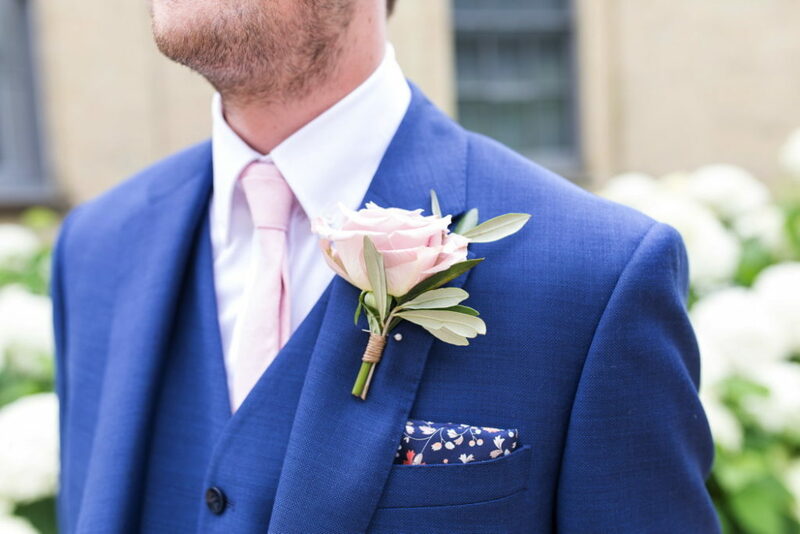 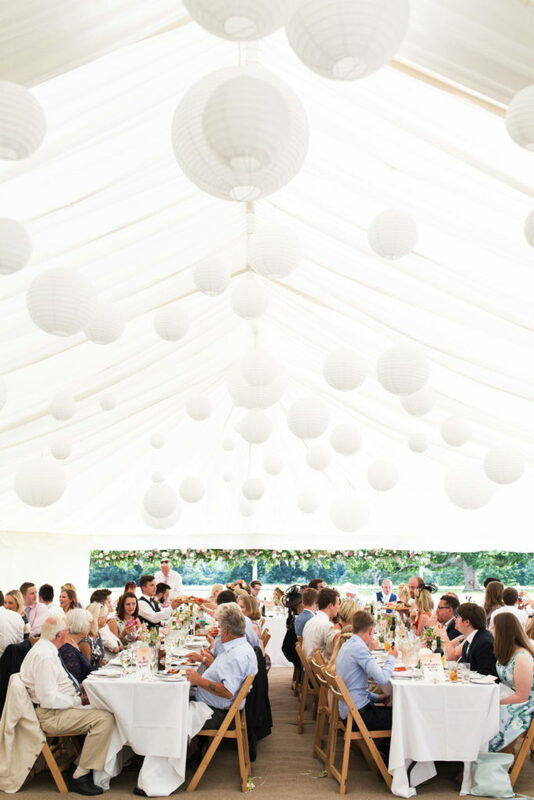 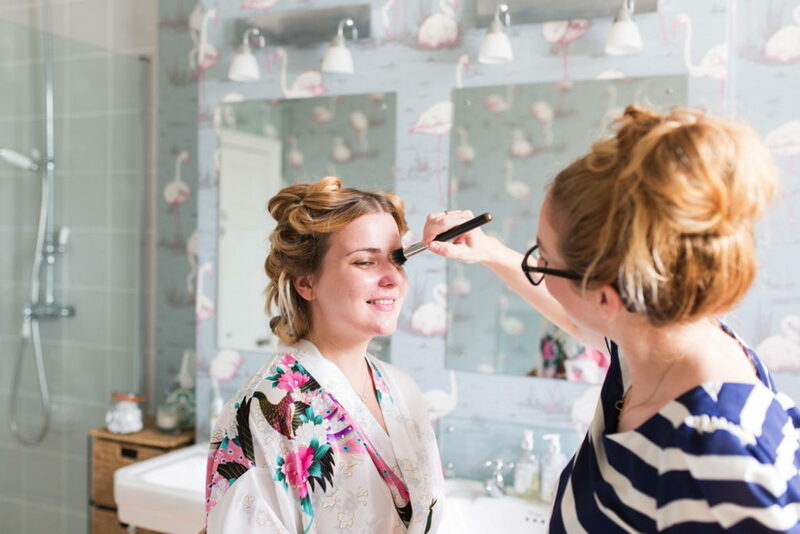 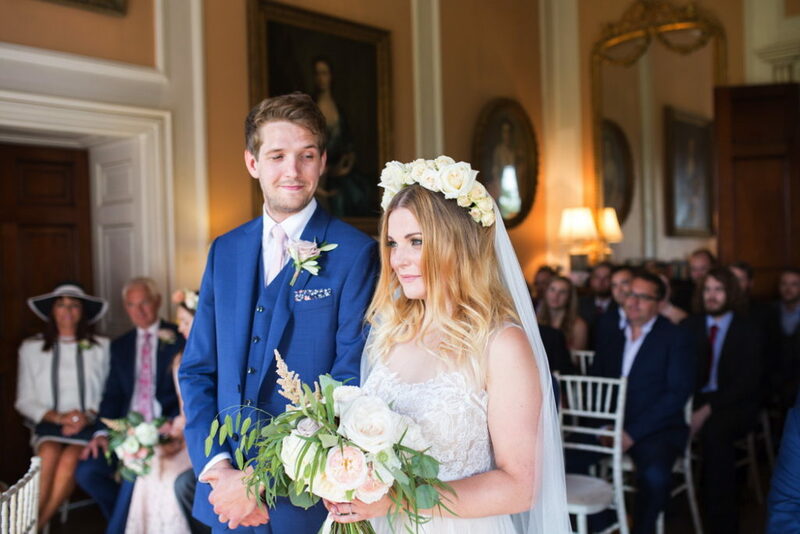 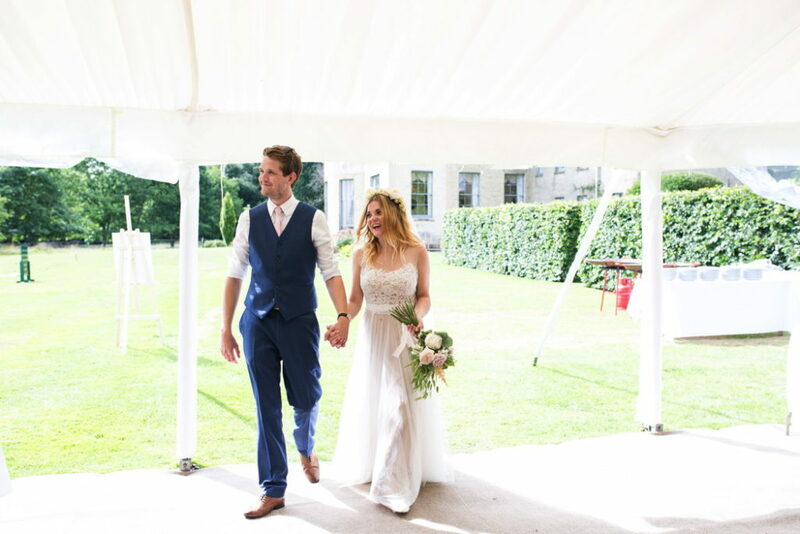 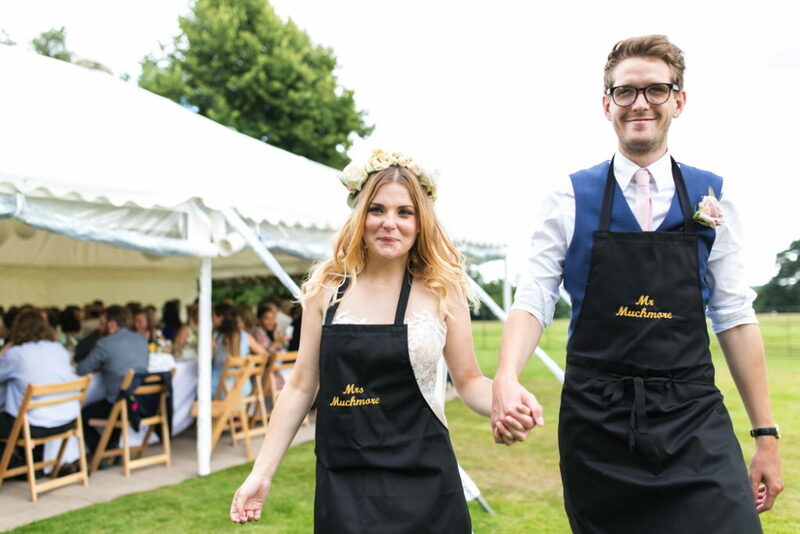 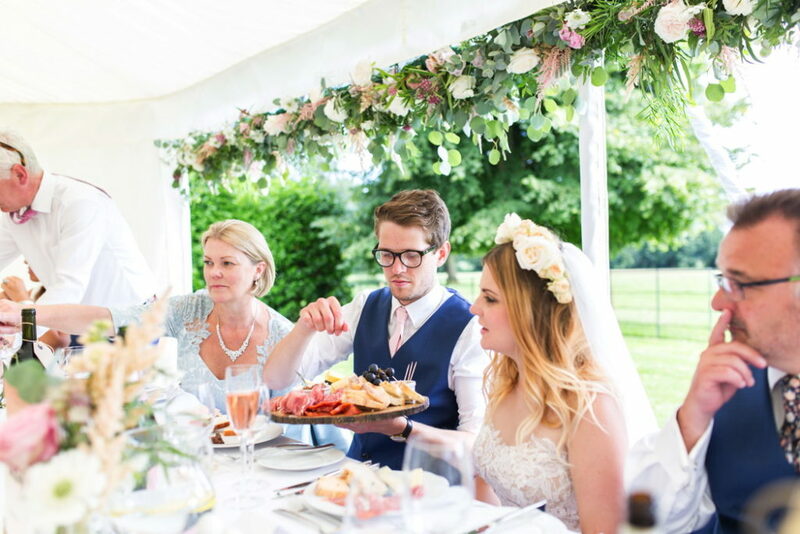 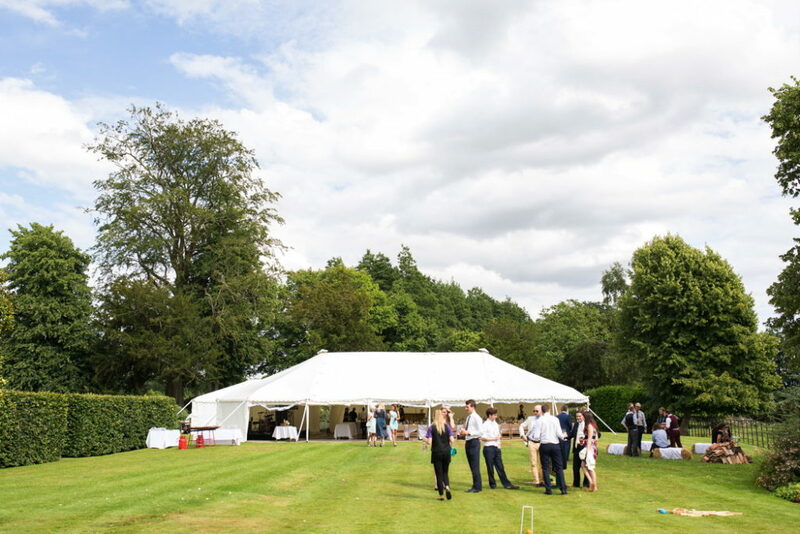 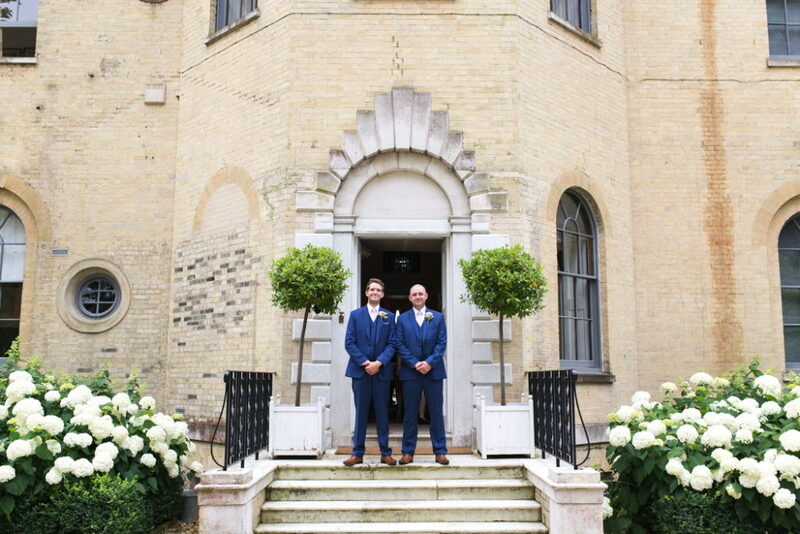 Hill Place in Hampshire was the ideal setting for their ​E​nglish garden vibe wedding, with a pretty marquee by Southern Marquees​ and Smallpiece Catering made sure that everything was flawless (as always!). 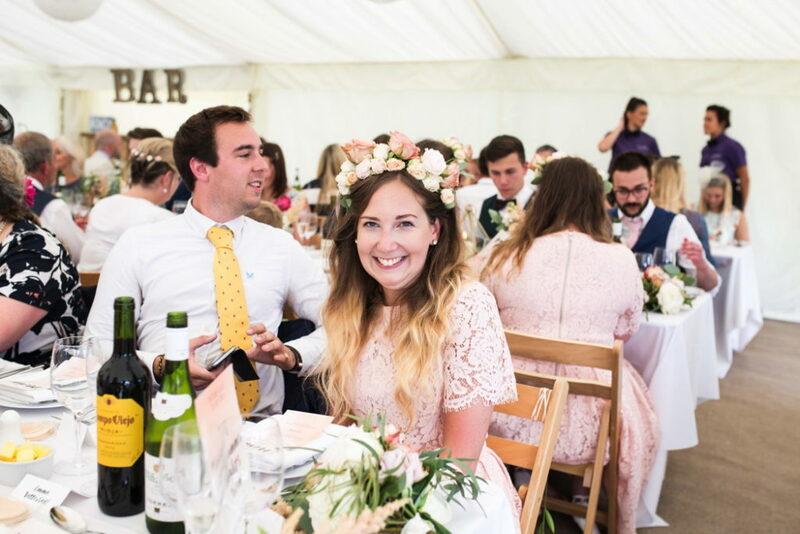 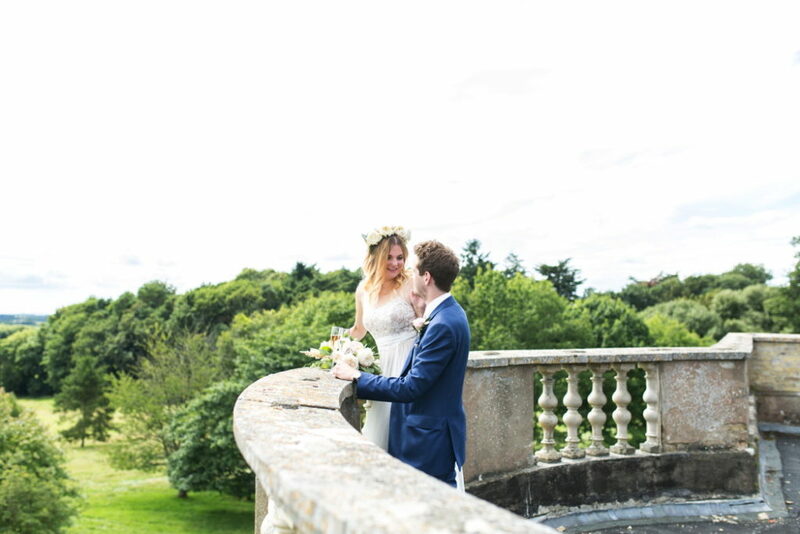 Phoebe & Joe met at college in their English class and say that they fell for each other while studying Much Ado – which was their aptly named top table. 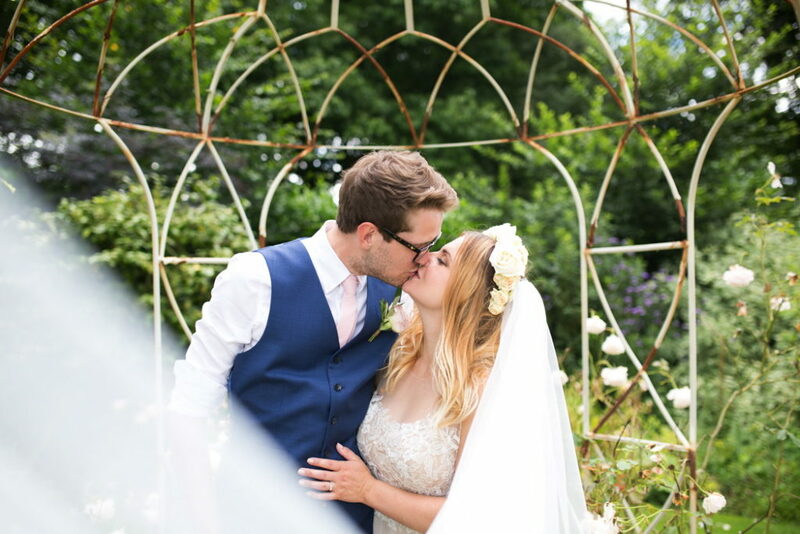 They joked and said they reminded themselves of Beatrice and Benedict from the story, who can’t stand each other at first but then fall wildly in love. 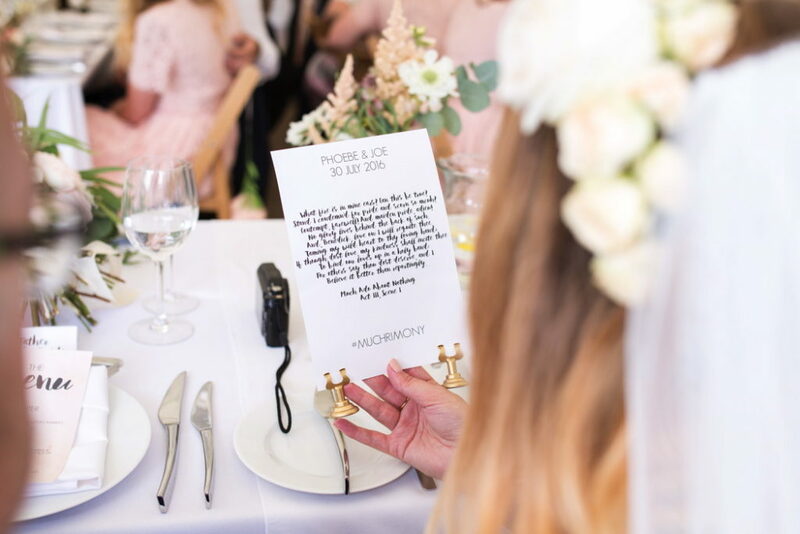 They both still love Shakespeare to this day and visit the Globe a lot so they picked their favourite plays for all the table names. 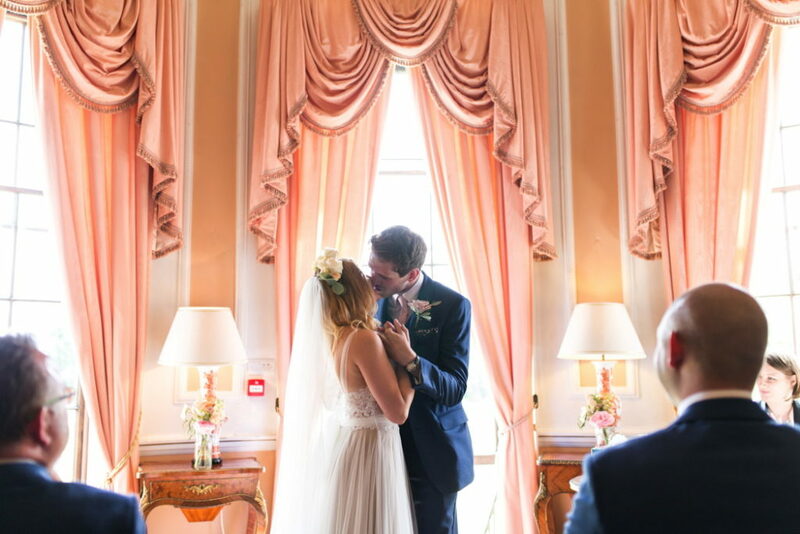 For their first dance they scrapped the tradition and went for a ‘First Song’ instead. 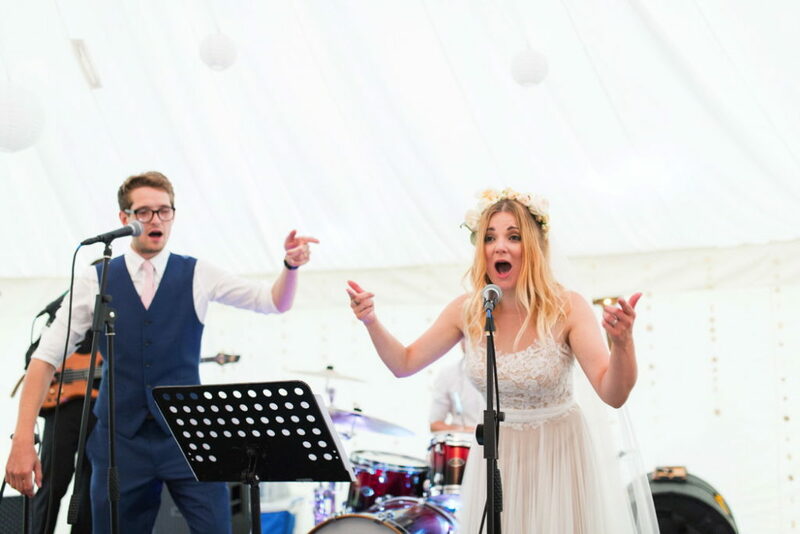 Backed by a full karaoke band, Phoebe & Joe sand ‘Home’ by Edward Sharpe & The Magnetic Zeros. 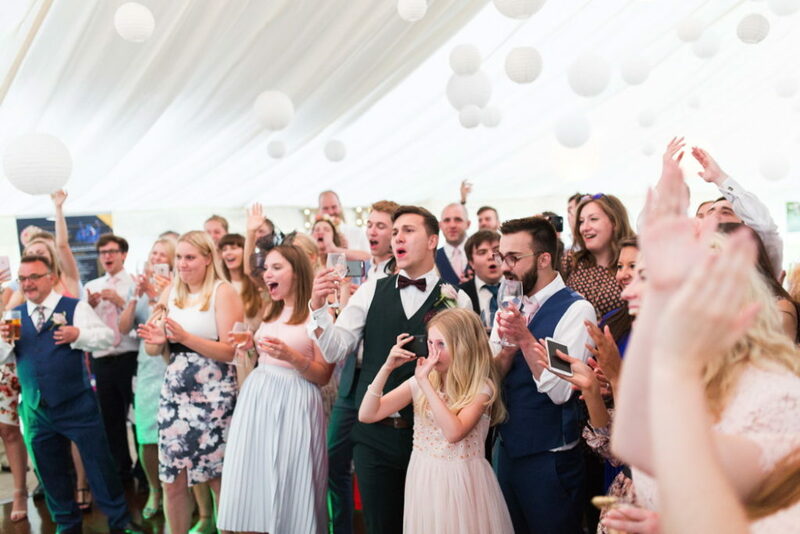 It was full of energy, laughs, emotion and pure smiles! 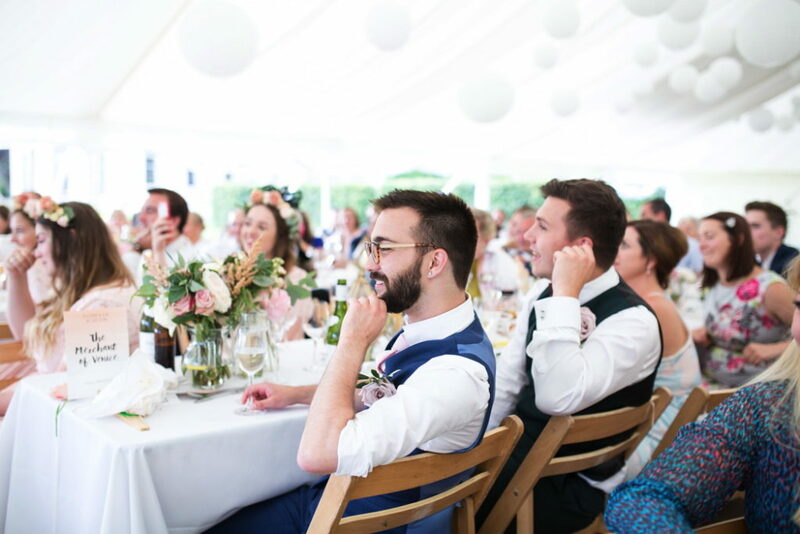 Their guests yelled the worlds back to them, wine splashing over the edge of their glasses whilst jumping around with joy. 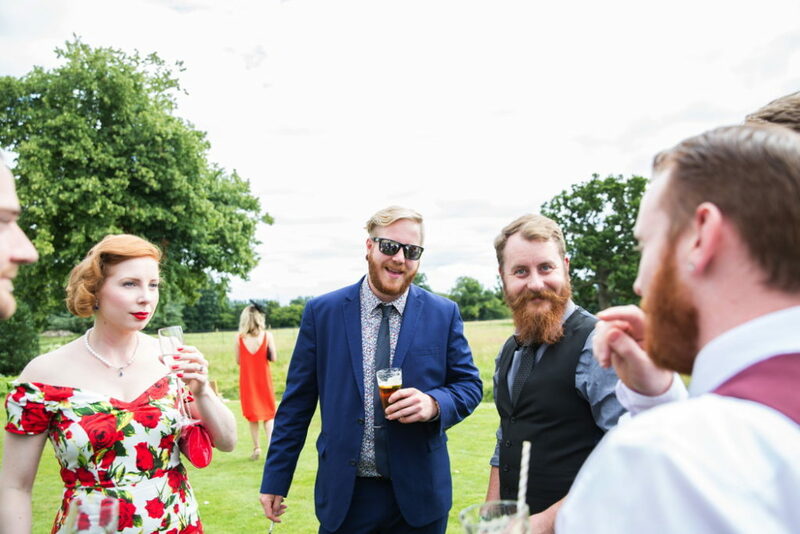 It was totally epic. 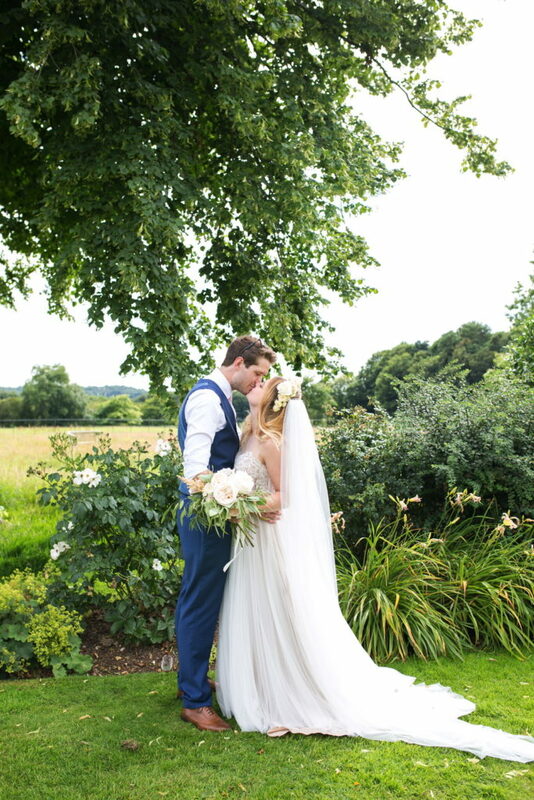 If I had any advice for couples it would be to not feel trapped by traditions, do what works for you as a couple! 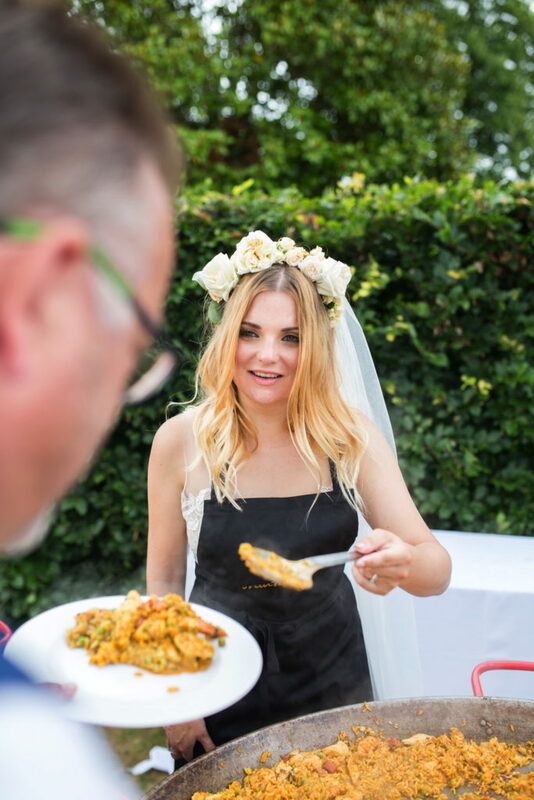 The best weddings in my opinion are the ones where the traditions and been tweaked and personalised. 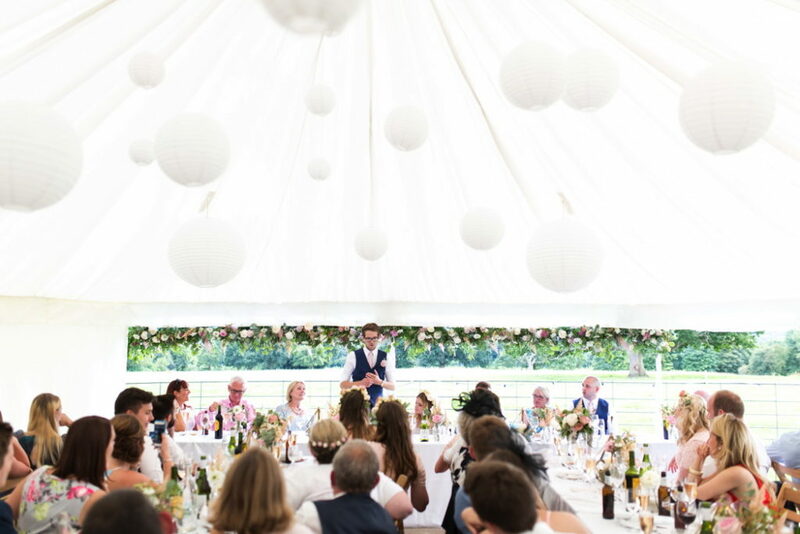 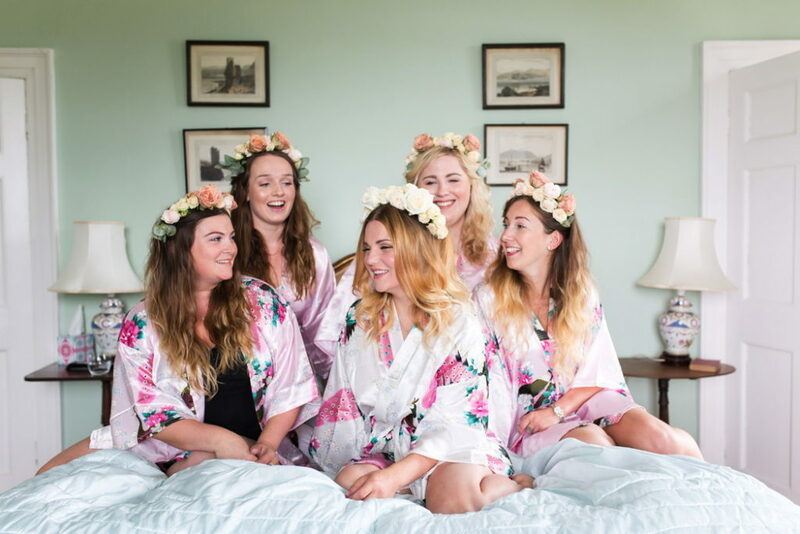 The wedding of Phoebe & Jo was a day filled with the biggest smiles, the happiest faces, topped up wine glasses, phenomenal food and new traditions. 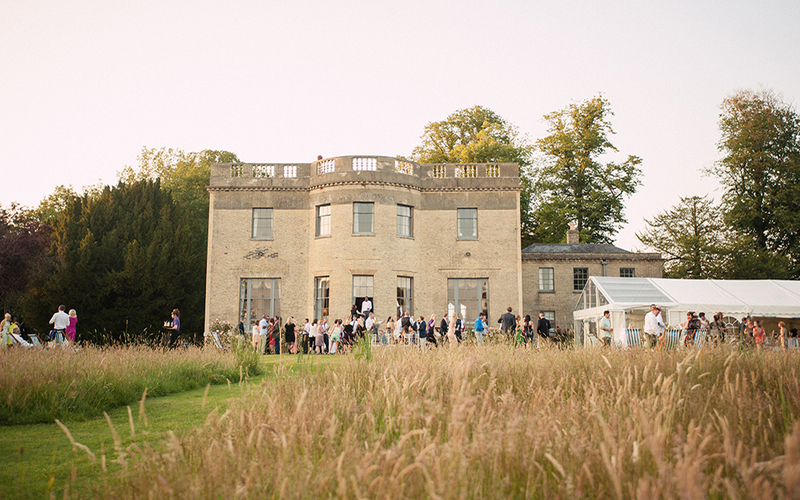 Welcome to Hill Place, Swanmore, a Georgian country villa set within twenty… acres of parkland. 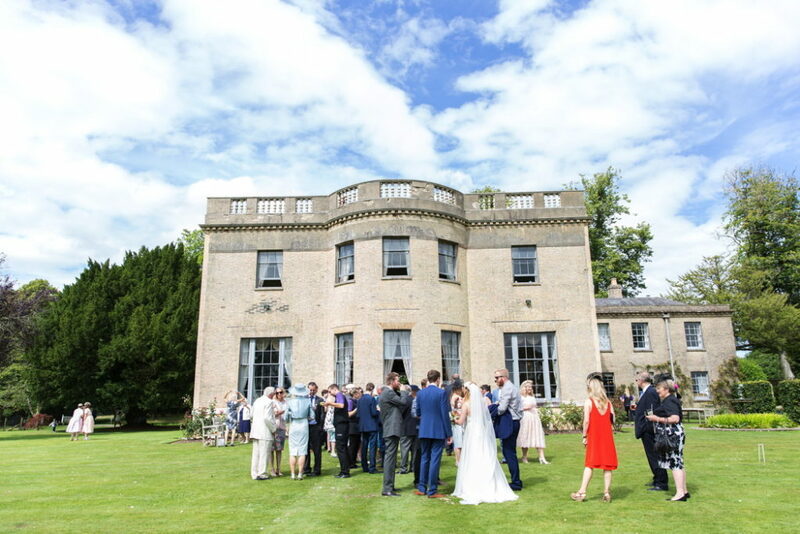 The ideal venue for your exclusive-use wedding, house party or event.